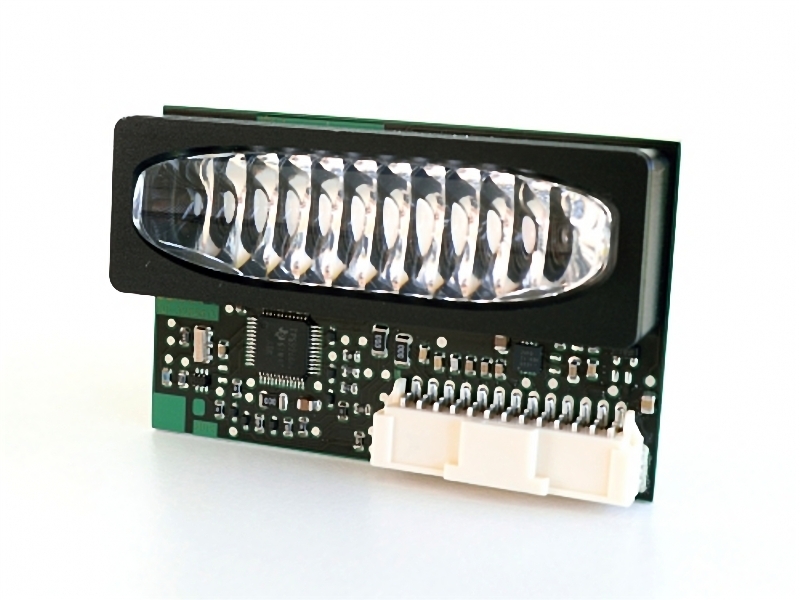 Osram has launched new Smartrix modules that combine LEDs, driver electronics, and a custom silicone lens in a compact form factor that enables advanced LED headlamp systems for automobiles. Osram believes that the modular approach will enable automobile makers to support features such as adaptive drive beams in more mainstream models, and the company said it is already developing even more capable Smartrix LED modules. For some time, it appeared that the US government might not allow such LED headlamp systems to be sold, instead sticking with the low-beam requirement. The European market was hotter, however, taking advantage of the unique properties of LED lights to improve on a decades-old approach to vehicle front lighting for automobile makers. Now the US government has proceeded to develop standards that will pave the way for adaptive drive beam functionality. Until now, Osram has been taking the lead of matrix technology and was most likely involved in that original Audi design, although the company never said so publicly. For example, the company brought a new packaged LED chip late last year in the Oslon Black Flat family that covers multiple individually-controllable emitter segments, with a five-segment model promised for early this year. Now the Smartrix technology combines the company focus in LEDs with the optics required in a LED headlamp design. By using new materials for the lens systems, we have been able to make the Smartrix modules even smaller and more durable, so our customers have even more freedom in designing their LED headlights. Osram said the plastic lenses commonly used in matrix-type systems could not meet the requirement of location much closer to the LED light. The silicone optics offer high resistance to heat and optical radiation, as well as long life; they can be mounted directly near the LED lights; and they are less expensive than glass. The installation of the lens near the LED lights enables the needed beam control in a smaller module, so enabling automobile manufacturers to deliver on the evident trend of narrow, low-profile LED headlamps. Osram said LED headlamps based on the Smartrix LED modules would be on the road in commercial vehicles soon. Besides, the company said it would bring a version with multiple lines of pixels or optical segments. Osram continues to develop even more advanced LED headlamp technology. Nowadays,the company is cooperation on development with the Fraunhofer Institute for Reliability and Microintegration (IZM), semiconductor-manufacturer Infineon, auto light leader third-party OEM Hella, and automobile manufacturer Daimler with funding from the German Federal Ministry of Education and Research (BMBF).